Lets replace roses and flowers with herb plants to show our love and affection. Herb plant can be give already planted in a pot and can be easily maintain by given small amount of water everyday. Our first suggestion is Rosemary. 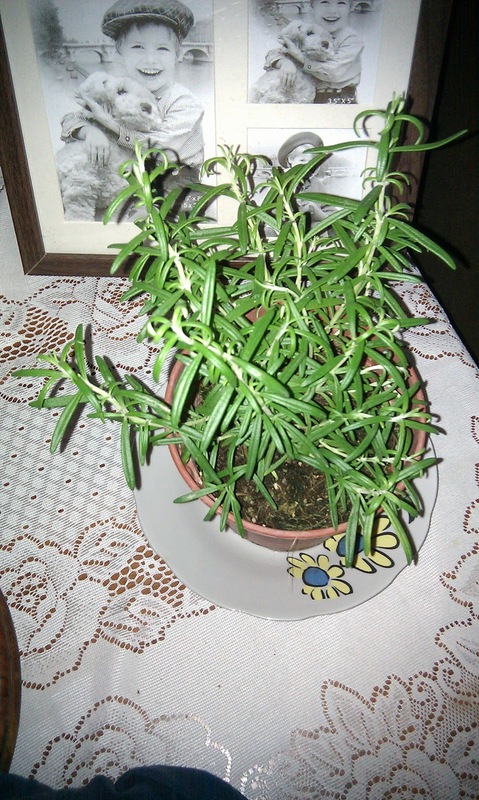 Rosemary can be use as a decorative plant in gardens and has many culinary and medical uses. The plant is said to improve the memory. The leaves are used to flavor various foods, like stuffings and roast meats. Rosemary contains the antioxidants carnosic acid and rosmarinic acid, and other bioactive compounds including camphor, caffeic acid, ursolic acid, betulinic acid, rosmaridiphenol, and rosmanol. Some of these may be useful in preventing or treating cancers, strokes, and Alzheimer's Disease.